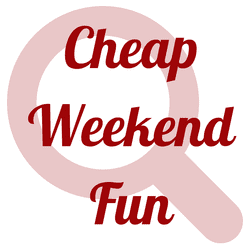 Cheap Weekend Fun in Boston for July 25-26, 2015! There’s a lot of fun things to do in Boston this weekend and here’s a few events and activities that won’t break the bank! If you are around on Friday, don’t forget to check out my Free Friday Events in Boston post for even more fun and free things to do in the city! Figment Boston: July 25-26, 2015 at the Rose Kennedy Greenway in Boston. Celebrate participatory art and culture for two days in Boston. Revere Beach Sand Sculpting Festival: July 24-26, 2015 at Revere Beach. Check out 15 master sand sculptors from around the world compete in this annual competition. Shakespeare on the Common: July 22, 2015 to August 9, 2015 at Boston Common. Enjoy a free performance of King Lear at Boston Common for Shakespeare on the Common! Sylvester Baxter Riverfront Park Movie Series: Saturday, July 25, 2015 at Assembly Row in Somerville. Enjoy a free outdoor movie screening of E.T. The Red Sox are in town this weekend and if you are interested in hitting Fenway make sure to read Red Sox Games on a Budget!